Spring has official sprung! Now it’s time to grab the crew, pull out the calendar and get planning this month. As we finally come out of hibernation, Sydney’s events scene is ramping up a gear, with a plethora of cool activities happening in and around the city. From a free pop-up block party to Chin Chin’s Curry Club and a 90s-inspired silent cinema experience, we reveal our top picks on what you should be checking out this month. Saké Restaurant & Bar is celebrating the arrival of spring and Japan’s iconic cherry blossom season with an exclusive Champagne dinner + speciality cocktails available throughout September! Dine under a canopy of pink florals and sip on cocktails including In Bloom ($22), blending sakura-infused Roku gin, lychee liqueur, lime juice, lychees, cherry and sakura flower syrup. If that doesn’t take your fancy, perhaps the Japanese Cobbler ($21) will. 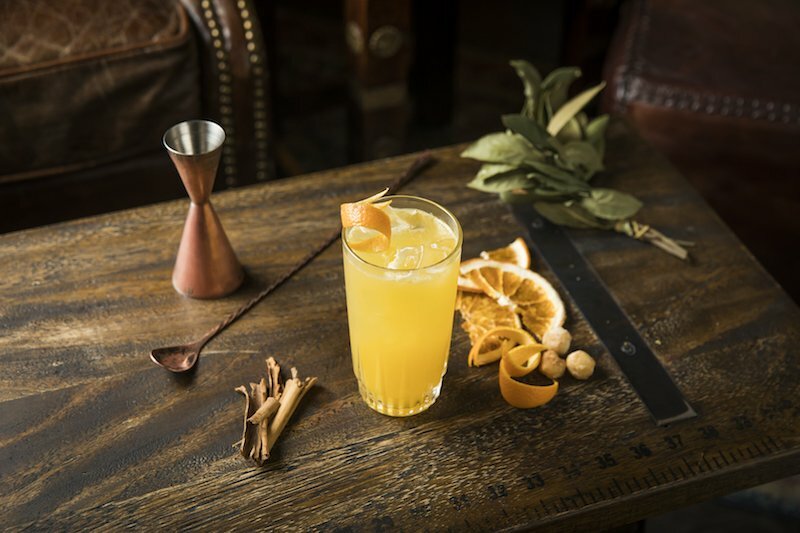 It combines Shiso Umeshu, Ketel One Citroen, sakura syrup, yuzu juice and cherry blossom water. Come Tuesday 18th September, be sure to secure your space to the highly coveted Cherry Blossom Champagne dinner ($290pp) at Sake The Rocks. The six-course menu sees prized Champagnes, including Moet, Veuve Clicquot, Ruinart and Dom Perignon Rosé teamed with carefully curated dishes. To secure your space, click here. After much anticipation, Manly Greenhouse is proudly opening the street level Greenhouse and Rooftop on Friday 7th September. While the Grill restaurant is predicted to open in October, that shouldn’t slow you down from having a sticky beak. Offering sweeping views of the Manly beachfront, head to the rooftop to soak up those infectious spring rays with a tipple in hand. 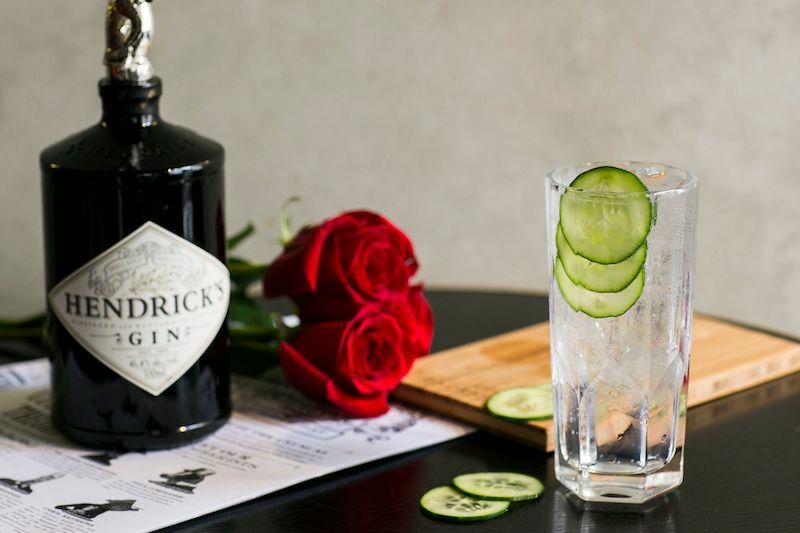 Hendricks Gin is celebrating the humble cucumber with a pop-up installation worthy of a visit. Come Thursday 13th September, head down to Sydney’s Overseas Passenger Terminal to lay witness to The Curious Kiosk. At this traditional Victorian newsstand, your visit will be rewarded with a cucumber and a copy of the Unusual Times – Hendrick’s very own newspaper, which you can exchange for Hendrick’s signature G&T at some of Sydney’s top bars. 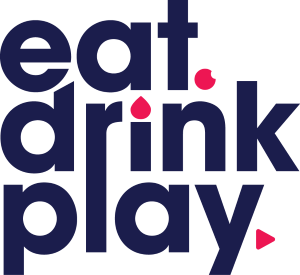 Participating bars include QT Sydney, Ryan’s Bar, The Rook, Door Knock, Arthouse and Cruise Bar. Curious? Head down and check it out. Love Champagne? Salivate over slow cooked meats? Come Saturday 15th September, head to Barangaroo’s beloved New Orleans-inspired smokehouse NOLA for the ultimate food and drinks pairing. For $120pp, you’ll enjoy an array of NOLA’s signature smoked meats paired with Champagne Taittinger’s finest glasses of bubbles in a luxurious long lunch. 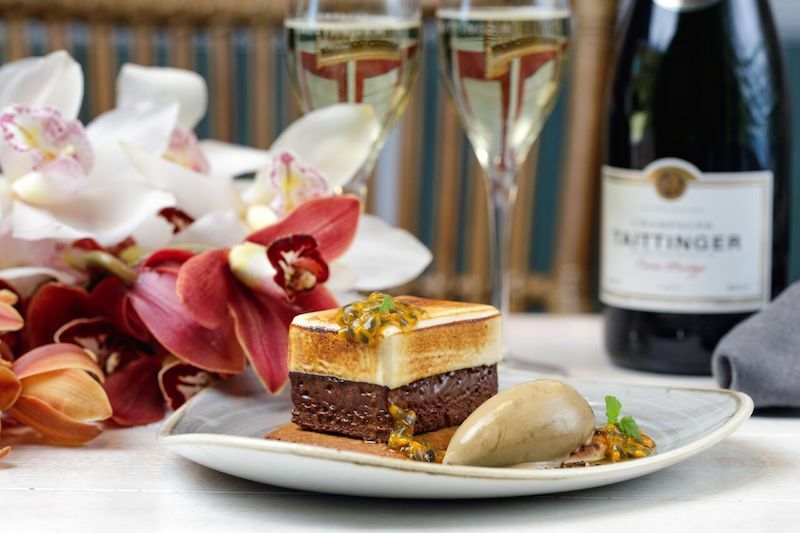 This five-course experience includes more than eleven different dishes, each course carefully matched to four of Champagne Taittinger’s best champagnes + a whisky cocktail. To book, click here. 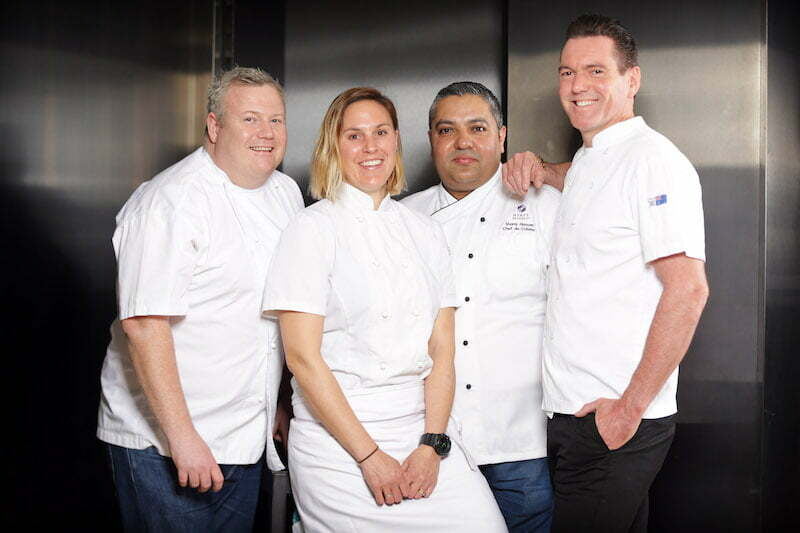 With the topic of food waste front and centre right now, Electrolux is teaming up with OzHarvest and six of Australia’s best chefs to create the first All Taste No Waste Dinner Series. 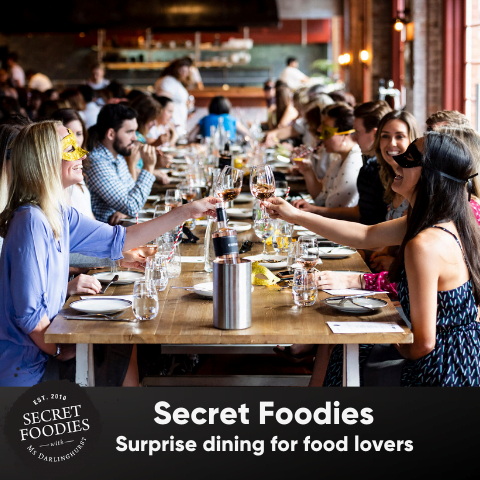 Running from 19th-21st September, this intimate dinner experience sees some of Australia’s top chefs pairing up to transform commonly wasted foods – such as eggs, milk, cheese, rice and eggs – into delicious meals. Tickets are $90pp, with proceeds from the events will be donated to OzHarvest. To secure your ticket, click here. Pyrmont Festival is back for another year, promising more award-winning food and wine from Pyrmont and the Orange Region than ever before. Running over two days on 15th and 16th September at Pirrama Park, spend the weekend meandering through over 100 stalls. 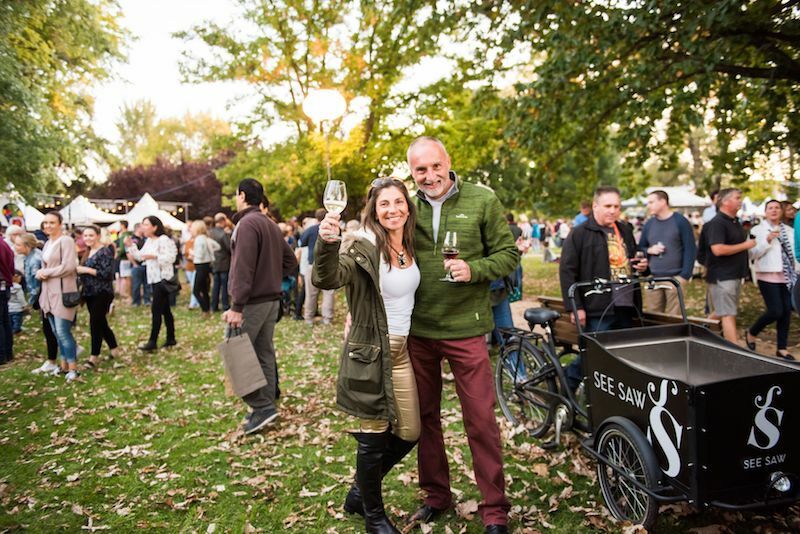 Here you can mingle with the winemakers, enjoy an array of tastings plus eat your way through a range of gourmet bites and regional produce. For more information, click here. After a sell out event last month, the Curry Club is returning to Chin Chin in September. Your evening will kick off with an arrival beer by Fury & Son Brewery, before you feast on Head Chef Graeme Hunt’s infamous banquet menu. Think fried squid with crispy shallots, beef rib Massaman curry, Penang Chicken Curry, Rice + Roti, all for $49.50pp. Pencil Monday 10th September in the dairy, and be sure to get your tickets quick, this event will sell out. To secure your space, click here. This month, The Rocks is celebrating all that is great about local Australian produce with a variety of unique and native foodie experiences across its various bars and restaurants. Kicking off on 1st September, head to Pony Dining for speciality kangaroo complemented with native bush ingredients. Also getting on the native Aussie bandwagon is The Doss House. Here you can try smoked wallaby, wild boar salami, Australian buffalo milk blue cheese, Sonoma sourdough and Pepe Saya cultured butter with its Aussie Platter. For the sweet tooths, La Renaissance Patisserie & Café is serving up a limited edition lemon myrtle and white chocolate macaron, while Mode Kitchen and Bar whips up native-inspired cocktails including a Lemon Myrtle Gin Sour and Wild Spritz. For more information and details about the range of offers The Rocks has available across September, head to therocks.com. Come Saturday 8th September, head down to Chippendale’s Kensington Street for a FREE block party to remember. 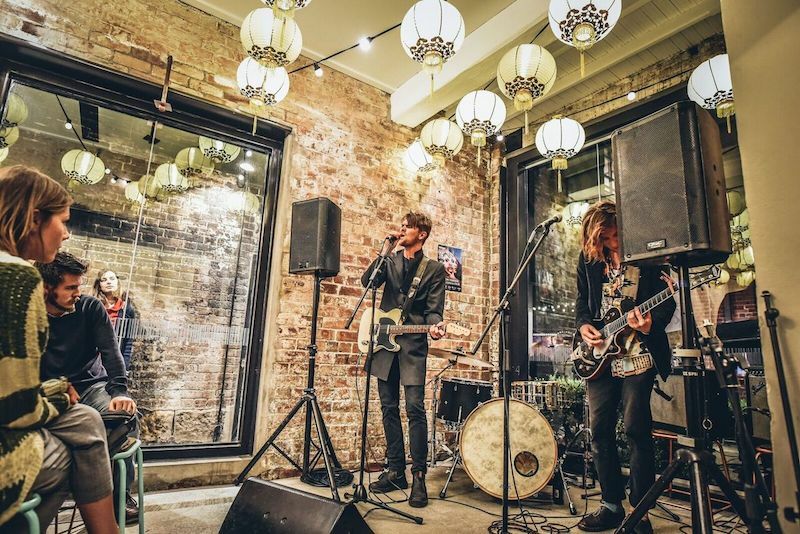 In collaboration with Sydney Fringe Festival, you can expect an afternoon of striking live street art installations, buskers, pop-up bars, acoustic sessions in the Fringe Bar and beats on the street, as performed by Soul of Sydney. Accompanying this is also delicious eats from some of Kensington Street’s prized restaurants. Can’t make it to the street this Saturday? Fret not, as Sydney Fringe plans on going out with a bang come 30th September with The Last Supper. 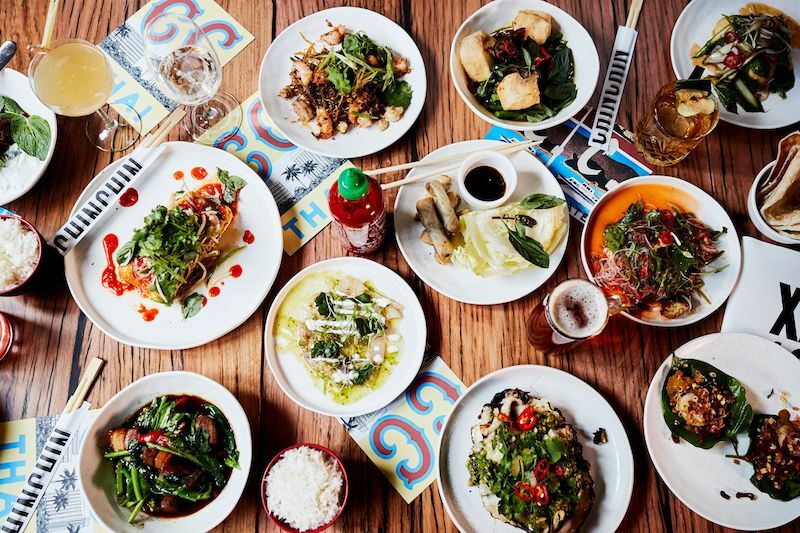 This pop-up feast sees Olio, Eastside, Mekong and Bistrot Gavroche showcasing their signature dishes, with two sittings available at 5:00pm and 7:30pm. It’s time to don your togs and bare your sun deprived skin to the world once more, with the seasonal reopening of the Andrew Boy Carlton pool on 1st September. 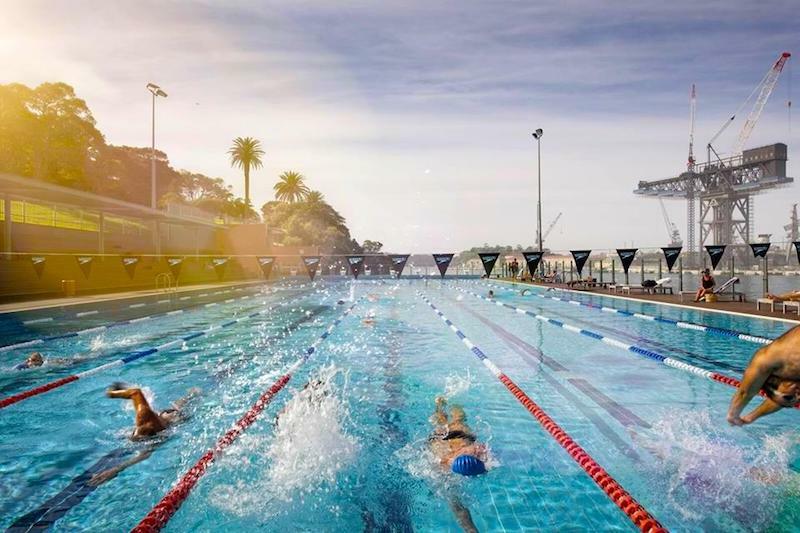 Entry is $6.60, giving you access to one of Sydney’s top swimming spots, with views of the harbour resting in the background. Time to dive in! Launching on 6th September and running every Thursday throughout the month, Chippendale’s Central Park Mall is transforming into a cosy moonlight silent cinema haven. Playing host to the ultimate 90s throwback, catch films like Clueless, 10 Things I Hate About You and more. Tickets are only $10, with all proceeds going to an incredibly important cause – Rural Aid’s Buy a Bale.